Periodontist Reed Ference, DDS, M.Dent. Sc., Albany, NY, practices a full scope of periodontics with expertise ranging from dental implants to cosmetic periodontal surgery and gum grafting. Dr. Ference can now correct a wide variety of periodontal issues. Our Periodontist, Dr. Reed Ference, is a specially trained dentist with years of additional schools, certifications, and training. His focus is in the prevention, diagnosis, and treatment of gum disease and in the placement and maintenance of dental implants. 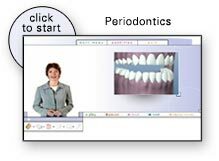 Periodontists are experts in the treatment of all forms of periodontal disease, including gingivitis, periodontitis, and gingival recession. Additionally, Capital Region Periodontics & Dental Implants in Albany offers Cosmetic Periodontal Services, because even a subtle change in your smile helps you to project an image of self-confidence and high personal esteem. Our office is located at 838 Western Avenue Albany, NY 12203. Call us at Albany Office Phone Number 518-489-3201 to make an appointment. Dental implants are designed to provide a foundation for replacement teeth that look, feel, and function like natural teeth. When someone loses teeth, having dental implants can restore the ability to eat virtually anything. They can then smile with confidence, knowing that teeth appear natural and that their facial contours will be preserved, or restored. Dr. Ference offers every aspect of implant dentistry from restoring and growing new natural jaw bone using bone grafting techniques all the way to repairing and maintaining older implants. Dental implants are changing the way people live. With them, people are rediscovering the comfort and confidence to eat, speak, laugh and enjoy life. For more information about dental implants or to schedule a consultation appointment, call our office in Albany, NY. Dr. Ference is proud to offer this line of services at our facility. These procedures are a predictable way to cover unsightly, sensitive, or exposed root surfaces and to prevent future gum recession. If you are unhappy with the appearance of short unsightly teeth this can be greatly improved by a combination of periodontal procedures by Dr. Ference and cosmetic dentistry by your regular dentist. For more information about cosmetic periodontal surgery, schedule a consultation appointment or call our office in Albany, NY.